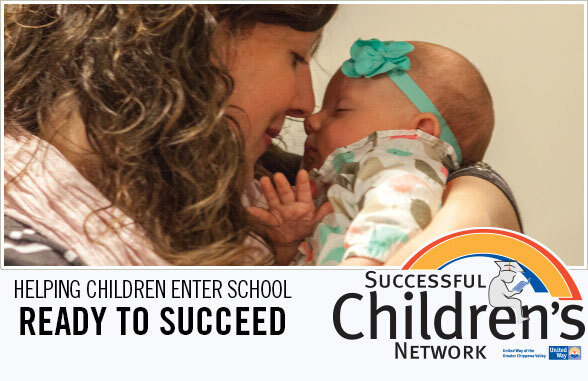 What is the Successful Children's Network? The vision behind the Successful Children’s Network is to ensure that all children in the Chippewa Valley enter school ready to succeed. Research shows that when low-income children enter kindergarten, they are typically 12-14 months below national norms in language and pre-reading skills. 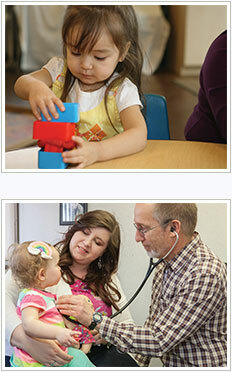 They are also less likely to receive adequate treatment for health conditions, which can impair skills and behavior. According to 2010 census data, there were 4,890 children ages birth to five in the Chippewa Valley, who may have faced school readiness challenges due to living below 200% of the federal poverty level. The Successful Children’s Network brings together partners and collaborations that provide services to assist the children in this target population to enter school with age-appropriate development in the areas of health and physical well-being, social and emotional development, and language and general knowledge. Parent educators who emphasize development-centered parenting. Basic oral health and education to children to help prevent dental issues that can later affect quality of life. UWGCV’s current program partners are collecting and reporting data which will track child development and the number of children with developmental concerns and delays using the Ages and Stages screening tool at regularly scheduled intervals. Other tools such as satisfaction and knowledge surveys, action plans, and curriculum-based questionnaires will be used to measure progress on outcomes and track the difference that is being made in the Chippewa Valley as a result of these combined efforts. HOW DID THE SUCCESSFUL CHILDREN'S NETWORK DEVELOP?